Punxatawney Phil has nothing on this groundhog! He'd be a fun addition to a yard flag or decorative pillow for spring! 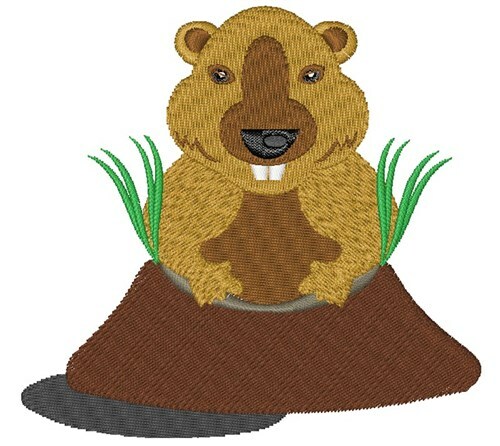 Windmill Designs is happy to present Groundhog machine embroidery design which has 8897 stitches and is [76.45 mm x 71.61 mm] large. If you would like to view more embroidery patterns please search on our embroidery designs page.